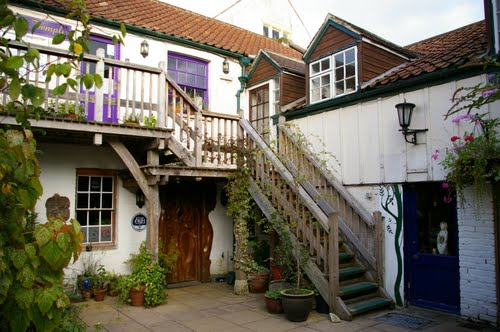 The origins of our own Glaston Centre Ltd are in 1978 when a Dutch couple, Willem and Helene Koppejan, bought retail properties at the foot of Glastonbury High Street, which they converted into a complex of shops and function rooms called The Glastonbury Experience. 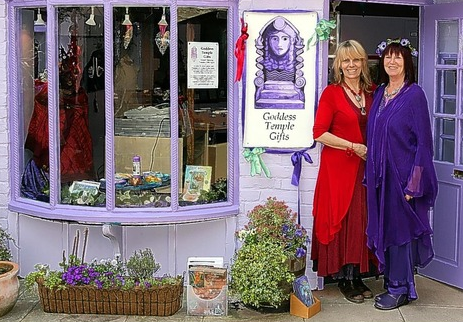 The shops had an 'arts and crafts' focus originally, although over the years this was to change, reflecting Glastonbury's development as a centre for contemporary spirituality. Willem, sadly, was to die before the couple's dreams were fully realised. 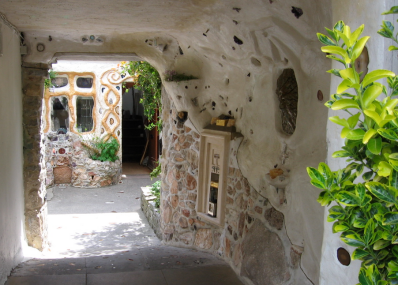 In 1987, Helene met Barry Taylor, a management and financial consultant with a strong interest in spirituality. 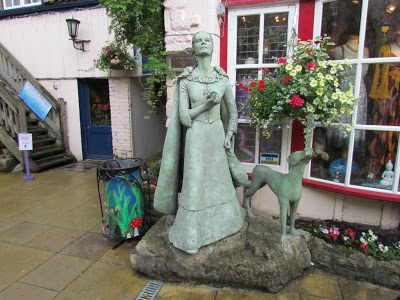 Around this time, a group of people were inspired with the vision of re-creating Glastonbury as the great centre of learning, teaching and spirituality that it had been in the Middle Ages. This time however it would be a centre appropriate to the 21st century. It was decided that the GE was the ideal base. 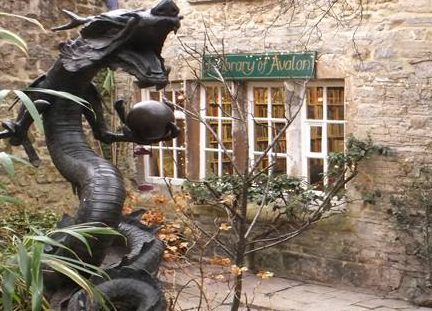 Over the next few years the Library of Avalon, the Isle of Avalon Foundation, the Bridget Chapel, and the Goddess Temple were established and based in the GE. At the same time, a number of our other ideas were explored including a Pilgrim Reception Centre and a Sanctuary. 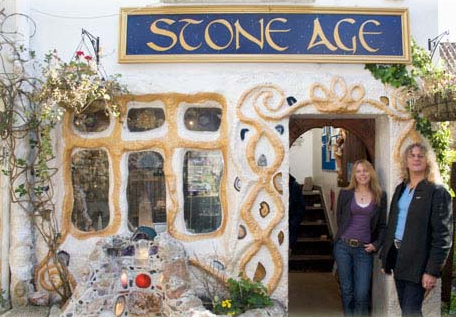 In 1992 Barry and Helene set up a charity, The Glastonbury Trust, whose objects were to benefit the public through the advancement of religion and education. In 1997, they made an agreement that in the event of either of their deaths, the ownership of the Glastonbury Experience would pass to the new charity. In 1998 Helen died, and the ownership of the GE, free of all borrowings, was transferred to Glastonbury Trust Limited. This transfer was made free of conditions but with the wish that, as far as possible the objects that had guided the GE so far should be continued. 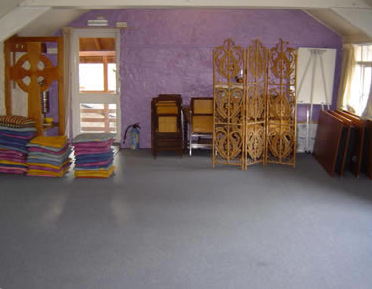 These were defined as: To set up a centre offering help, guidance, teaching, training and healing on all aspects of spiritual growth and ecological awareness. The Glastonbury Trust has continued with these objects by financially supporting charities within the GE and in the community as a whole. The most important recent support has been to the Red Brick Building complex. The Trust now concentrates upon fund raising and grant making and, as far as possible, is not directly involved in initiating or managing new projects. Parallel with this has been the development of the not-for-profit company Glaston Centre Ltd. 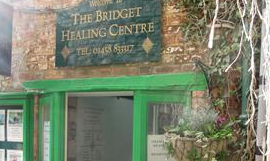 Inspired by the same vision, it started by setting up the Glastonbury Pilgrim Reception Centre in 2007 and from there has developed into supporting and sponsoring a wide range of community projects within Glastonbury. 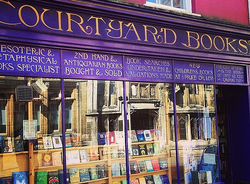 The original centre was in the High Street and not the GE, but was supported by the Glastonbury Trust. It now has offices at 8 Market Place, part of the GE, and has a Research and project that is working closely with other organisations in order to develop these services.